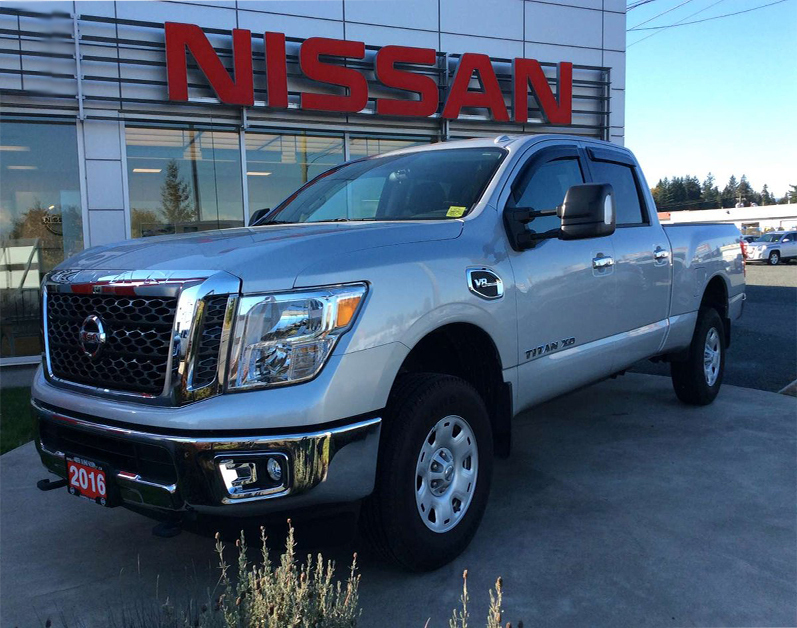 2016 Nissan Titan XD- Price Reduced! Choose Titan XD’s Endurance® V8 gas engine, and you’ve got a technological powerhouse under your foot. With a 4-valve-per-cylinder design, Nissan Direct Injection System, and Variable Valve Event and Lift (VVEL®) technology, power, efficiency, and refinement come together in a tested, proven package. Look under the TITAN XD and you’ll see key components from our Nissan Commercial Vehicles program- vehicles that had to with stand more than 1,000,000 kms and 7,000 quality and durability tests. Add to that the TITAN XD testing program, including brutal heat, freezing cold, towing steep grades at 150 percent of capacity and more. Heavy-duty attitude? We think TITAN XD has earned it.